We are already halfway through January and companies should be starting spring landscaping duties soon. Many experts agree that April 1st is a good time to start spring landscaping. This ensures that there is less of a chance of frost. If you want to be safe, May 10th is recommended to completely avoid frost. 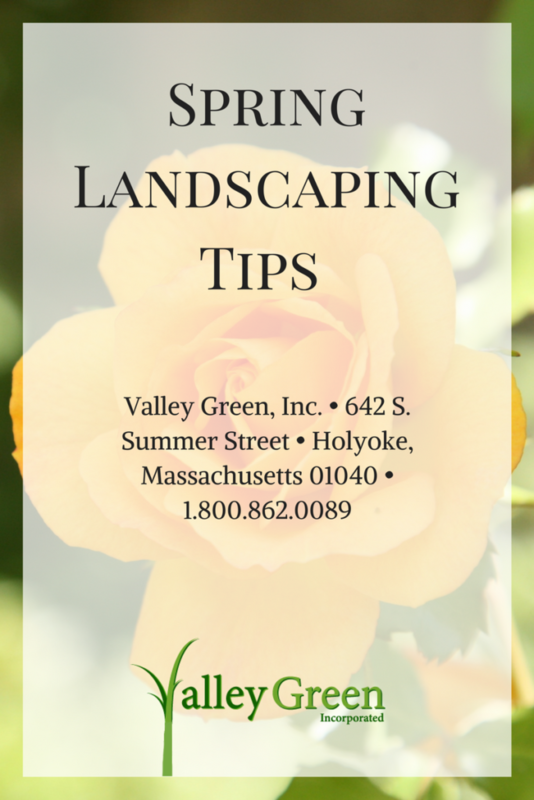 Below are some spring landscaping tips to ensure a successful start to your company’s landscape season. Cover bare lawn patches with grass seed. Water well and continue to do so until the bare patch begins to fill in. Before heading client’s homes. Check your equipment and fix any damage it sustained over the winter. Rake leaves and debris that have accumulated over winter. Apply a light amount of fertilizer in early spring, and then apply a larger dose a bit later in the season, after the initial growth rush. Apply a 4-inch layer of fresh mulch over all beds to help reduce the number of weeds that will pop up. Hand pull or carefully spray a glyphosate product on any weeds that have emerged after mulching. Before you start planting for clients, make sure the plants you choose are compatible with the soil where they live. Apply a granular insecticide or larvicide to keep worms and grubs from hatching and reproducing. Apply fresh mulch and edging for flower beds and tree rings. Spring is a great time to lay fresh mulch and work on the edges of any flower or landscape beds. This will help retain moisture, assist plant roots, and prevent weed growth in these areas. Check out our products page for items that assist you in spring landscaping.